Who would suspect that buttons have been made out of blood, insects, gold-filled teeth, milk, beer, and tiger’s toenails? Or that buttons can be miniature works of art? 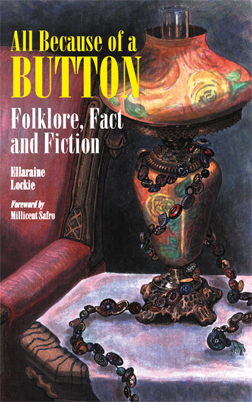 These are but a few of the fascinating facts about buttons, button people, and button collecting that Ms. Lockie presents for the reader’s enjoyment in All Because of A Button.